My Sunrise Clock Mug Rugs are featured in the September/October issue of Modern Patchwork magazine! It makes me happy to be able to share this project, and I’m pretty excited to have my work published. I’ve been asked what inspired me to design these mug rugs, but I can’t put my finger on it exactly. For as long as I can remember, I’ve always been drawn to clocks and watches. I remember receiving my first watch as a kid and later in life I had a watch collection. I also love the look of a classic or unique clock and I have one in nearly every room of my house. And to this day, I never, ever go anywhere without wearing my watch! I guess that explains my interest. As far as the idea goes, it was one of those things that just popped into my head. A lot of times I get ideas right when I go to bed, and this was one of them. About the actual mug rugs…they’re relatively small (9″ finished) and have a lot of negative space, so I made a set of four to incorporate a variety of color (for the hands). Overall, they’re an easy and fun project that can be personalized in so many ways. 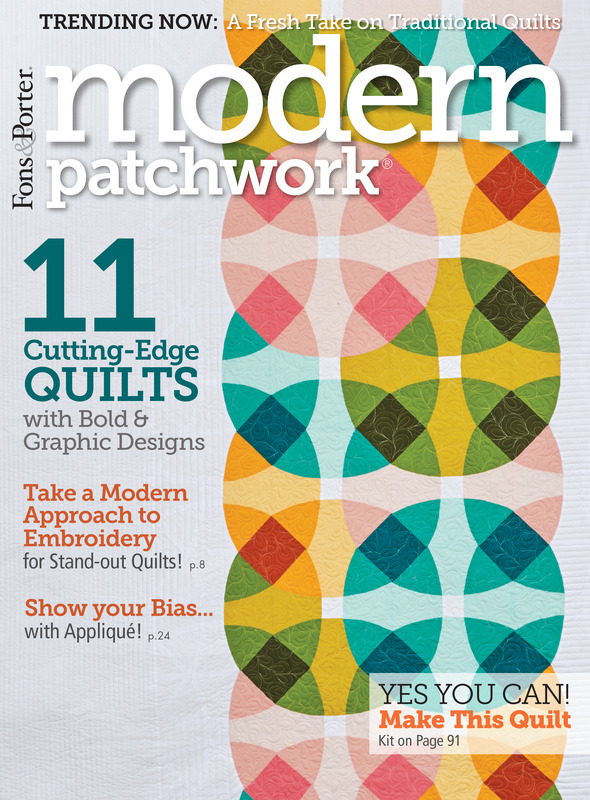 If you don’t subscribe to Modern Patchwork, pick up a copy of this issue and give these mug rugs a try! Here are a few images of the ones I made.